2019 Event Tickets for Denver Concerts are on sale now! Colorado is known for its high altitudes, and Denver has taken advantage of its Rocky Mountain backdrop. Denver’s gorgeous environment has more than visual appeal; some argue that the high-altitude ranges create the best acoustics and ambiance that can be found for concerts. Test that theory for yourself at any number of venues in this mountain city. The Fred Shellman Memorial Stage, The Gerald R. Ford Amphitheater, The Folks Fest Stage, The Benedict Music Tent, The Dillon Amphitheatre, and The Mishawaka Amphitheatre are some favorites from around the state of Colorado, but the Red Rock Amphitheatre in Denver steals the spotlight. Colorado state calls it “the mother of all outdoor music venues.” It has been welcoming in artists and listeners for over 100 years. Some of the biggest names in music—The Beatles, Jimi Hendrix, U2, and The Grateful Dead—have filled its stage. For Concerts in Denver, please see our event listing calendar of Concert tour dates in 2019! Music festivals are notorious for pulling together a wide audience of listeners. There are diehard music enthusiasts, casual listeners, new listeners, and listeners focused on other recreational aspects of the festival experience, such as dancing, drinking, and camping. In Denver, there are festivals to please every type of concert-goer. Spread the Word Music Festival is one of the first of the season, introducing summer sounds with local bands in Colorado. With a cost of only $20 to $50 per day, it is accessible to most people. This past summer, the Jeff Austin Band and Everyone Orchestra were the headliners, but locals flocked to the stage to see smaller regional favorites as well. 303 Music Fest is another affordable option in Denver, which had its debut this past summer. Like Spread the Word Music Festival, 303 Music Fest focused on local talent. Among its 17 picks were Trev Rich and STeLOUSE. For listeners seeking a specific genre, there is the Denver Day of Rock. Although entry is free, special VIP tickets go for up to $250, making it a customizable festival experience. What makes this festival a must-see is its philanthropic, do-good function. 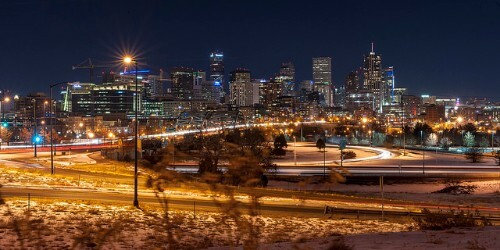 Over the last few decades, music industry experts have hailed Denver as a good scene; however, in the last few years, the city has elevated to a world-class community. Its music industry—venues, studios, music education, promoters, musicians, management, public relations, photography, and more—increased by nearly 23 percent between 2011 and 2016. Paralleling Denver’s expansion of bioscience and energy sectors and general metro development, people have sought music to be entertained. For listeners, these developments mean that there is more live music and higher quality live music, making for an overall better time in the concert sphere. How Do I Find Upcoming Denver, Colorado Concert Events Near Me? See below for a list of Concerts in Denver CO scheduled for 2019.